Does God like tuna? What color is God? Does Jesus skate? What will we do in heaven all day? Can we trust the Bible? Aren't all religions the same? Can I watch scary movies? Is Marilyn Manson bad? Are any sins unforgivable? Aren't all religions the same? Then you've come to the right place for the answers. 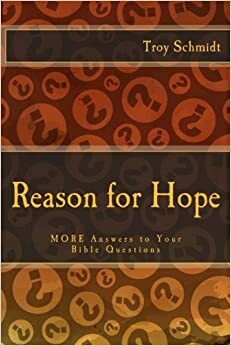 There is a reason that Christians have hope. They have hope because they have answers. They don't have every answer to every question, but most questions can be answered from the Bible. 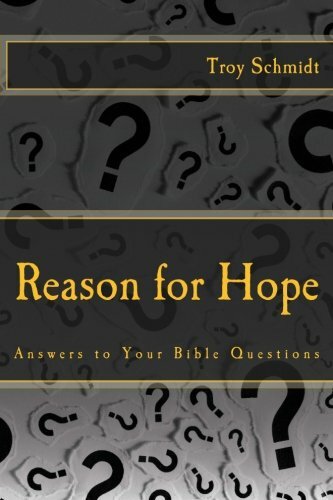 REASON FOR HOPE has surveyed children, students and adults for years, asking them in spontaneous exercises to write down their questions in order to receive answers. This website contains all of the questions ever asked. And it gives you a chance to ask your questions too! Christians - A place where you can find answers in order to respond to others who are searching. Maybe it will help strengthen your faith. Seekers - A place where you can openly and honestly ask questions that have troubled you about Christianity, the Bible and life issues. You will see a list of CATEGORIES along the sidebar. Feel free to browse questions in a category that interests you. You can SEARCH a keyword to find the answers you've always wanted. If you have a question and can't find it here, send it to us and we’ll post the answer as soon as possible. You can order SAVED online at Amazon.com.